HOME > Blog > Compliance for Landlords & Property Managers > How Does the SCRA Affect Landlords? How does the SCRA affect landlords or property managers? The Servicemembers Civil Relief Act, a federal law, protects servicemembers on active duty from late fees and evictions without a court order. A new bill proposed in Congress, the Federal Civil Employees Relief Act (FECRA), intends to extend these same protections to furloughed federal employees. As a landlord or property manager, you know tenants can sometimes be late with the rent. When this happens, you must look into whether they have gone on active duty before taking action. Neglecting this step could result in fines or worse. Ideally, the servicemember should advise you of their callup. However, this is not always possible. It falls to the landlord or property manager to determine military status before moving forward with fees or evictions. Further, it is possible that the tenant was a civilian when they originally signed the lease and joined the military later. You would have no way of knowing this unless they told you or you checked. What if they had plenty of time to inform you and did not? Still, the burden of determining military status is still on you, the landlord or property owner. For this reason, you are required to do a military status verification before proceeding with any evictions. Even starting the eviction process by giving notice to the tenant who is on active duty can be a violation of the SCRA and can result in heavy fines and penalties. However, assuming your tenant has gone on active duty, you are not, of course, required to indefinitely keep their belongings in the space, rent-free. But you must obtain a court order to begin eviction proceedings. The purpose behind this rule is to allow the court to determine whether a servicemember’s callup is responsible for their delinquency in the rent. If the court determines the callup was not a factor, it may allow you to start the eviction process. The realities of life as a servicemember, however, are that orders change regularly and sometimes without notice. The government may reassign servicemembers out of the area after they have signed a lease. In cases such as these, servicemembers may break the lease if they are being called to active duty for more than 90 days. If they are already on active duty, they can terminate the lease if they get deployed or reassigned for more than 90 days. Servicemembers should inform landlords and property owners of this event and provide copies of their orders. But what if they are late or otherwise delinquent providing this information and the matter ends up in court? In these cases, the courts will likely side with the servicemember. So tread carefully. If you receive such notice, you are required to make it effective 30 days after receipt, so your tenant will likely still owe one more month’s rent. Any damages they may have done to the property are still their responsibility, irrespective of the SCRA. Many landlords and management companies that operate near military bases have clauses in the leases making it easier for servicemembers to get out of them. If you don’t have these in your leases and your competitors do, you might end up with more vacant apartments. All these hoops you must jump through as a landlord or management company can seem exhausting. It may even prompt you to deny rental to military members to save yourself the headaches. But beware: That could land you behind the defense table in a discrimination lawsuit. 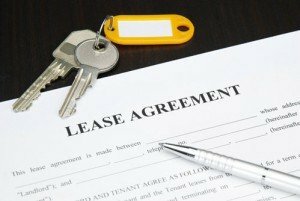 You can attach a waiver to your lease regarding SCRA rights and privileges, but it must conform to exact SCRA specifications, or it’s illegal and you’re responsible. The best way to meet your responsibilities and stay safe and within the confines of the SCRA is to check the military status of delinquent tenants before moving forward with any actions. Rely on the Servicemembers Civil Relief Act Centralized Verification Service (SCRACVS) for accurate, timely information. Searching for military status verification on your own is time-consuming and nerve-wracking, because if the information is incorrect for any reason, you must take full responsibility. Trust SCRACVS for all your military status verifications.